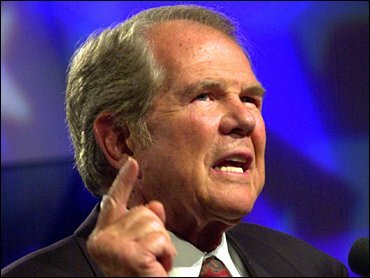 It was a surprising admission from a Christian conservative and favourite target of liberals, who have pounced on his assertions that the earthquake that devastated Haiti's capital city in January resulted from a pact with the Devil, for example, or that Hurricane Katrina was punishment for abortion and the country's general moral decay. Betty White refuses to tell Dope jokes! BETTY White will do anything to get a laugh — except tell dope jokes! “I don’t do dope jokes,” said the legend, who was recently named Entertainer of the Year by the AP. “I don’t think dope is funny or fun. 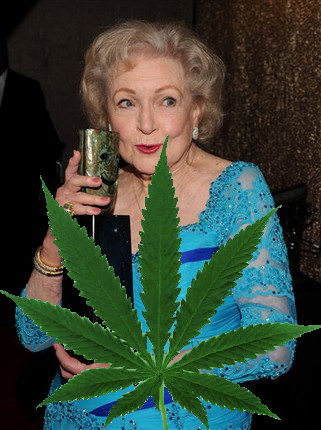 “In one episode of Hot in Cleveland, my character goes into a room and thinks she smells marijuana. And that’s it. My character won’t smoke. I wouldn’t do it. “The secret to going strong at my age is I get four or five hours a sleep a night. That’s all the sleep I need. And I’m blessed with good energy thanks to being blessed with good health. I’m actually sitting here with my kitties right now as I talk to you. “I can’t get over what’s going on with my life and my career. A doctor in Denver, Colo. is in danger of losing his license after recommending medical marijuana this past January to a woman who was seven months pregnant. Dr. Manuel De Jesus Aquino recommended the marijuana following a brief three-minute exam without appropriate review of the patient's medicalhistory or request for a follow-up appointment, according to a recent report in The Denver Post. When the 20-year-old mother gave birth in April, her infant tested positive for marijuana and reportedly suffered feeding difficulties. The Colorado state attorney general's office filed a complaint last week on behalf of the Colorado Medical Board against Aquino, whose license is currently suspended pending the outcome of proceedings against him. Dr. Lester Grinspoon, professor emeritus of psychiatry at Harvard Medical School and a long-time proponent of the medical use of marijuana, told AOL Health Thursday morning that marijuana is actually safer than a lot of medications that are available over the counter, incuding anti-inflammatory drugs like aspirin, which cause thousands of deaths per year. "There has never been a death directly attributed to marijuana," Grinspoon says. While he doesn't advocate the use of marijuana among pregnant women, he does not believe it's harmful to the mother or the fetus. He points out that in cases of pathological nausea in pregnant women, marijuana can actually be helpful by curing the nausea that prevents mothers-to-be from eating and digesting food. "You shouldn't use any kind of medicine when you're pregnant if you can avoid it," Grinspoon adds, "but there are some times when you don't have a choice." Some in the medical community believe marijuana can be used to treat a variety of conditions and symptoms, including nausea,headaches, neuropathic pain, Chrohn's disease, multiple sclerosis and glaucoma. "It's a remarkably untoxic substance," says Grinspoon, whose own son took advantage of medical marijuana to fight the nausea and vomiting he experienced while undergoing chemotheraphy for the treatment of leukemia. Grinspoon believes it should have the same standing as over-the-counter medications like aspirin and ibuprofen. As for the doctor in Colorado, he may still be in tough straits regardless of whether or not marijuana is dangerous to pregnant women because Colorado law requires that physicians have bona fide relationshipswith patients before prescribing the drug for medical use. Should an employee's use of medical marijuana - at home, with no side effects on the job - be exempt from workplace drug-use policies? That's one of the questions judges and lawmakers will be wrestling with next month, when the state Supreme Court hears a case of a woman fired for using the drug, and the Legislature takes up a bill expanding protections in the state's medical marijuana law. The case before the court involves a woman suing her former employer, after she failed a drug test and was fired from a customer-service job in Bremerton. The woman, using "Jane Roe" as a pseudonym in court records, was using marijuana prescribed by her doctor for debilitating migraines. The woman is using the alias because medical marijuana use remains illegal under federal law. The Court of Appeals ruled against the woman last year, saying the state's medical marijuana law protects patients only from criminal prosecutions, not in employment disputes. But in petitioning the high court for review, the woman's attorney argued that the law -- passed by voters in 1998 as Initiative 682 -- allowed for broader protections. Michael Subit wrote that voters and lawmakers who enacted the Medical Use of Marijuana Act would be "flabbergasted if qualified patients could lose their jobs simply for using medical marijuana at home in accordance with the Act." Subit's client had been hired in 2006 by Colorardo-based TeleTech Customer Care Management to do customer service via phone and emails at a Bremerton office. The company had a drug-test policy; the woman said she would fail it and offered to provide medical documentation for her marijuana use. She took the test, started work, and was fired about a week later, because she tested positive for cannabis. "She used marijuana in such small doses that it had no side effects," Subit wrote. "It did not negatively affect her ability to work or take care of her children." He said the woman never used it on the job, or in front of her kids, and was not impaired at work. Subit also wrote that the woman had suffered from chronic pain, nausea, blurred vision and light sensitivity for years, and it wasn't until her doctor prescribed marijuana that her symptoms subsided. 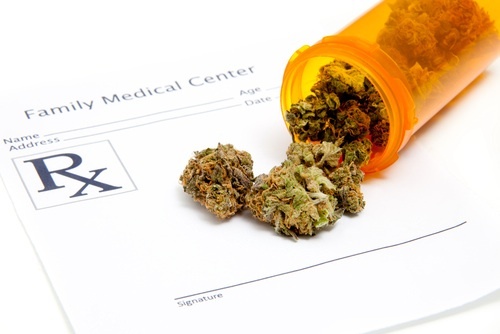 What did voters want with medical marijuana law? The issue hinges on the intent of the law, which says "humanitarian compassion" makes allowing medical marijuana necessary, and that patients with terminal or debilitating illnesses "shall not be penalized in any manner, or denied any right or privilege." The Court of Appeals said the "average informed voter" would understand that the law addresses only one subject - that of criminal prosecutions. Subit said most people would think employment is considered a privilege. He also said the law balances the rights of patients with interests of the workplace, by not requiring employers to allow on-site marijuana use. On Monday, the American Civil Liberties Union of Washington filed a brief (PDF) in support of the woman, saying she should be treated the same way as any other worker who takes prescribed medication for a debilitating condition. "Patients suffering from terminal and debilitating medical conditions shouldn't be forced to choose between a job and a therapy that helps them," said Alison Holcomb, ACLU's drug policy director. The court is expected to hear oral arguments on Jan. 18. Next month, Sen. Jeanne Kohl-Welles is expected to introduce a bill (PDF)clarifying the state's medical marijuana law. The bill seeks to ban an employer from firing - or refusing to hire - a marijuana patient, solely because of off-site use of the drug. Exceptions would include if the workplace involves physically hazardous or public safety duties. The bill would also provide protections in housing and parenting plans. It would prohibit medical marijuana use from being a factor in refusing housing or restricting parental rights. Six people arrested in connection with an indoor pot-growing operation appeared Tuesday in bond court. Their next court date is Jan. 11 in Will County. The Cook County South Narcotics Unit and Romeoville Police found the operations Monday, leading to the arrest of six on felony charges of producing cannabis. “Unfortunately, it occurs throughout the country. Obviously, money can be made in this illegal activity, and it’s unfortunate there are people who are engaged in this activity. We are glad to see that these operations were shut down,” said Mark Turvey, interim Romeoville police chief. 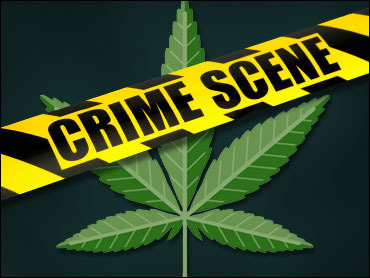 Cuong Van Tran, 31, Vinh Thi Nguyen, 51, Chien Van Tran, 29, Canh Van Tran, 55, all of the 1735 William Drive in Romeoville, have been charged with production of cannabis, a Class 2 felony. Bond for the four offenders has been set at $50,000. Police reportedly found about 18 cannabis plants behind concealed rooms in the basement inside the home at 1735 William Drive. The group had an advanced indoor grow operation, with elaborate lighting, ventilation and irrigation systems, according to a Cook County Sheriff press release. 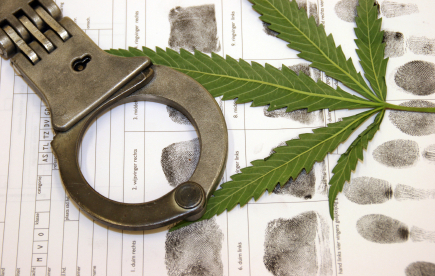 Nghia Tien Dinh, 39, and Hue D. Tuong, 38, both of the 1663 Rose Lane in Romeoville, have been charged with production of cannabis, a Class 1 felony. Bond for Dinh and Tuong has been set at $70,000. At the Rose Lane home, police reportedly found another cannabis grow operation that spanned the basement, with approximately 225 plants. The house also had advanced cultivation equipment similar to the first home, indicating a wholesale distribution operation, police said. Police developed information on the houses through weeks-long surveillance and investigations. They obtained search warrants Monday. Police reportedly found harvested marijuana in the basements of both houses. Charges are pending on this additional evidence. This is the second major grow house bust in a week by sheriff’s police which led to the seizure of more than $1 million in cannabis. This drug bust was the third in a month for Romeoville, Turvey said. An Ellicott City man has more than just insurance claims to worry about after a car crashed into his home earlier this month. Police say the crash revealed that 44 year old Richard Marriott had an indoor marijuana farm. Marriott and another person were uninjured when a BMW driven by 20 year old Bryan Bolster crashed into Marriott's house and burst into flames on Dec. 10. Bolster died in the crash. Howard County police say fire investigators were inspecting Marriott's home for structural damage when they found the drugs. Police got a search warrant and found what they describe as an extensive growing operation, with nearly 20 large marijuana plants. Marriott was arrested Wednesday and is being held on $15,000 bond. Court records show he also faces trial next month on charges of driving under the influence of alcohol and drugs.